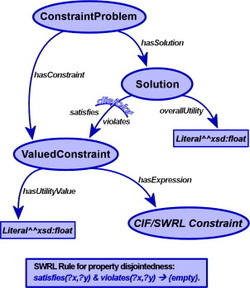 The Semantic Web Rule Language (SWRL) has been one of the most popular Web rule languages, possibly because of its use as SWRLTab in the very wide-spread Protégé ontology editor and knowledge-base framework. SWRL employs Unary/Binary Datalog formulas, which can also be seen as slotted formulas in F-logic, W3C RIF-BLD, or PSOA RuleML terms. This allows two alternate Grailog visualization methods. Both shall be explored and compared in the project. Further comparisons are to be made with the Axiomé visualizer for SWRL rules. There we choose slotted formulas to be the method of our visualizer,and visualize the graphs in Graphviz.